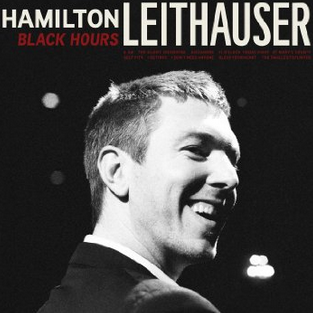 Hamilton Leithauser, most known as the lead singer of the beloved Walkmen, flexes his considerable vocal talents on his first solo record, Black Hours. The Walkmen made their name with a unique heavy guitar-keyboard wall of sound that was a soundtrack for anyone having grown up near an urban environment – most specifically NYC – where they recorded. It was angry and delirious in the way late teens and ’20s are supposed to be. Around 2008’s epic You And Me (Hamilton’s favorite of the bands catalog), the band had grown up. They were all married, started having children, and some of the band left the energy and hassle of New York for more peaceful settings. It was evident in the music. The rage had dissipated, although they could still conjure it during their rowdy live shows. The later material was romantic and thoughtful, at times even tender. Leithauser continues the exploration of these more adult themes in Black Hours and seems to be having an absolute blast. It’s an incredibly romantic record with his vocals at front and center, surrounded by an all-star cast of musicians including Rostam Batmanglij from Vampire Weekend, Amber Coffman from Dirty Projectors, Richard Swift from the Shins, Morgan Henderson from Fleet Foxes, and Paul Maroon from the Walkmen. The album explores dark and light, sadness and joy, and even gives fans of the Walkmen some familiar sounds (“The Smallest Splinter,” “I Don’t Need Anyone”), but also some completely original sonic landscapes for Leithauser to explore (“The Silent Orchestra,” “11 O’Clock Friday Night”). He commands everything with a Sinatra-esque swagger and shows that there is life after the Walkmen, and also the debauchery of youth, and it’s a good time.